There are two main take-offs, the first is located just 100 meters from the Col Rodella cable car station near the refuge Des Alpes. Going down the ridge from the hut we note the windsock; on the left side (towards the Gardena valley) is used when the wind comes from the North (the area under the two chair lifts with exposure to the North is customarily used for hang-gliders take off) . The right side (Fassa valley side) is used when the wind comes from South and Southeast and in the early hours of thermal activity, normally until 12.00am. After this time there is a gradual strengthening of the breeze of the Fassa valley, so use a take-off from the South to West facing. This take-off is reached by turning right out of the station and the cable car going down the path that passes under the cable car line in the direction of the road equipped with Rodella, at this point we can see the windsock. 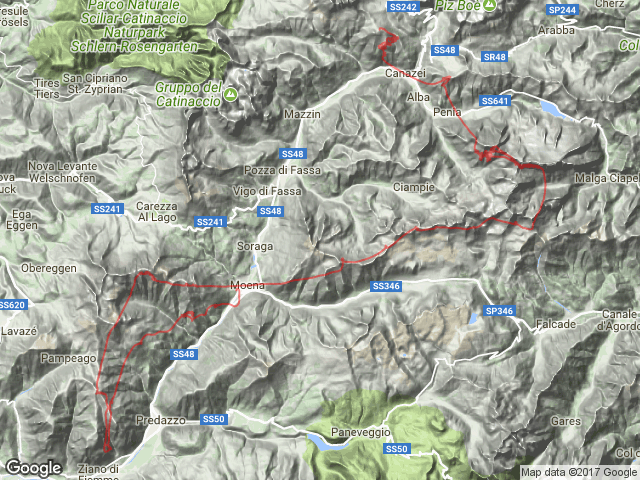 If you come from Sella Pass, park the car before the bar near the refuge Valentini and walk for about 30 minutes. In winter take-offs remain viable only North and South-Southeast. The main landing is located about 200 meters east of the Col Rodella cable car station, there is a wind sock on the west side. The landing is very big and easy, but we must be alert to the power line that crosses this longitudinally to the normal landing path. The secondary landing just across the river at the beginning of the town of Canazei. 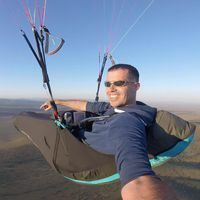 The windsock is located more or less at the center of the landing and this is equally easy. 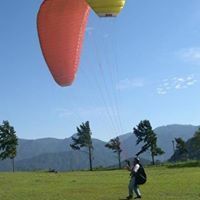 For both landings normally there is a landing direction from west to east during the morning, increasing in the afternoon breeze starts to land from east to west, in that case pay attention to the trees situated at beginning of the landings, which could create rotors in case of strong breeze. 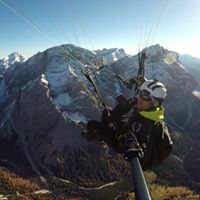 Coming from Verona on the A22, exit at EGNA-ORA and follow the signs for 'VALLE DI FASSA,' going through the towns of Cavalese, Moena, Predazzo and up to Campitello di Fassa. 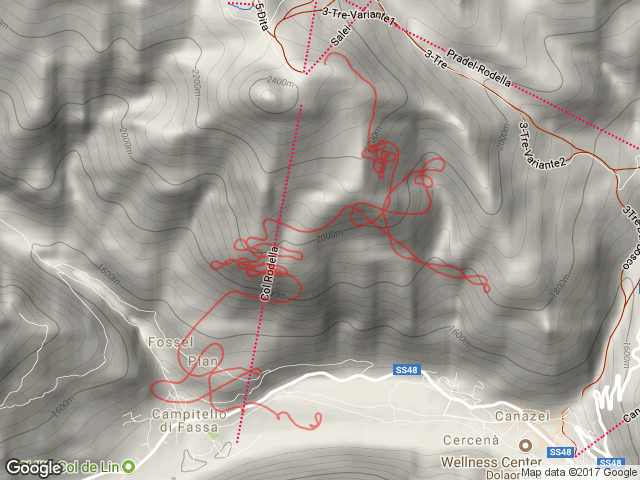 If you are coming from the Brenner Pass (Austria) A22, exit at CHIUSA-VALGARDENA and follow the signs for 'PASSO SELLA' through the villages of Ortisei and Selva di Val Gardena, a time to keep abreast of the direction and proceed to Canazei for up to 2 km Campitello di Fassa. The cable car is located down the road junction with the main square in Campitello No powered paragliding allowed. Weather Info: Pay particular attention to moderate winds from the North and East in general, in these conditions, the area becomes very dangerous and turbulent. In any case, the flight in spring and summer in the central hours (11:00am to 5:00pm) is only recommended for experienced pilots. However, towards evening it is possible for less experienced pilots to make a beautiful soaring flights (South, Southeast Takeoff).